Leos Janacek (1854-1928), perhaps the most interesting Czech musician of the early half of the 20th century, is a perpetuator of the national music tradition and of the preoccupations and aesthetic creed of his predecessors, Bedrich Smetana and Antonin Dvorak. 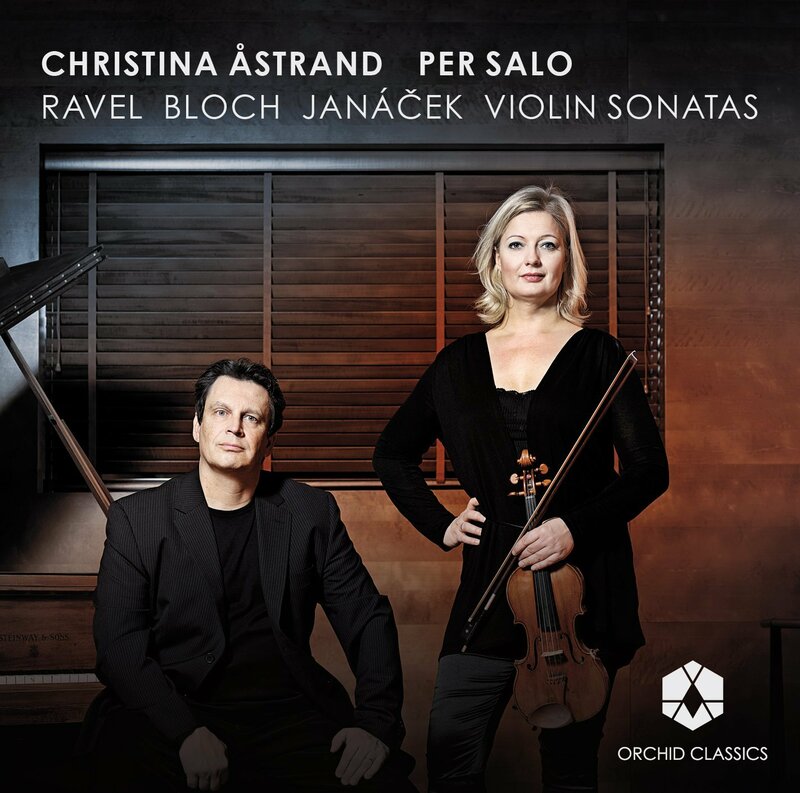 Contemporary with them in his youth and a great admirer of the Czech music heritage, Janacek brought a strong sense of originality to early 20th century music. To a major extent this was due to a superior understanding of the national character and to his selective responsiveness to the spirit of the time, which led him to leave behind the Romantic patterns of his youth, while also taking a critical stance towards some modernist trends of the time. Janacek was a redoubtable folklorist (among the first to use the phonograph in field research), with a deep interest in the field of dialectology. His collections from the rural areas of Moravia and Slovakia are exemplary in terms of richness of content and scientific rigour. His compositional style and musical output reflect his passion for folk art, as well as his rough, realist aesthetic. Janacek’s observations about speech intonations led him to remark upon what he called the “melody of speech”, from which he extracted specific rhythms and colours as the signature trait of his musical innovations. His mature style reveals a seductive and shocking originality, stemming from his peculiar and unique manner of understanding and treating spoken language as music. Janacek’s two string quartets belong to his last and most prolific creative period, which was highly original and marked by several major works, including the operas Katya Kabanova (1921), Prihody Lisky Bystrousky (The Cunning Little Vixen, 1924), Vec Makropulos (The Makropoulos Case, 1926) and Zmrtve ho domu (From the House of the Dead, 1928), as well as the Concertino for piano and chamber ensemble (1925) the Capriccio for piano and winds and the Sinfonietta and Glagolsky mse (Glagolitic Mass), all composed in 1926. Written in an advanced and inventive style, these works excel in their surprising juxtaposition of contrasting musical ideas, ranking among the all-time masterpieces of the genre. Both works have a strong programmatic character that can be viewed as a direct extension of the composer’s intense spiritual and emotional experiences. Composed in the traditional four-movement form, the quartet highlights the passionate nature of musical discourse. Without providing a detailed programme, the composer introduces the score with the following words: “inspired by L. N. Tolstoy’s Kreutzer Sonata”, obviously alluding to the inner psychological turmoil explored by the great Russian novelist in his short story. A theme of this sort (which caused a scandal in 1889 when the novel was published) bears a possible resemblance to Janacek’s own sentimental life. In a letter to Kamila Stosslova, the muse of his twilight years, he confesses: “I had in mind a poor woman, tormented, beaten, battered to death, as Tolstoy described her”. The music of the quartet therefore reflects Janác?ek’s own vision of the profound message of the work, illustrating the way the composer transposed the characters’ psychological complexity and struggles into the realm of pure music, imbuing it with tremendous dramatic weight. Expressively, the work covers the entire emotional spectrum, from incessant restlessness to violent cry and tragic despair in the last movement. The writing is motivic in character, typical of the composer’s vigorous and intercut style. The first movement, Adagio. Con moto, clearly outlines a sonata form, with the main folk-inspired theme carried by the cello and then taken over by the other instruments. The two-measure opening motto reappears frequently at transition points, serving as an obsessive reminder. The motivic cell, consisting of an ascending perfect fourth followed by a major second, recurs in various guises in the following movements, lending a cyclic cohesion to the entire work. In turn, the once again folk-style theme of the second movement, Con moto, provides a fertile ground for novel sound and expressive effects. One such memorable moment is the persistent trill in the cello’s low register, merging with the successive entrances – sul ponticello – of the other instruments. The third movement, Con moto. Vivace. Andante, is ternary in form and begins with an opening phrase that reappears under different guises, according to a discursive procedure of folk inspiration. After a middle section in which the theme flows freely and rhapsodically, the recapitulation continues the ingenuous series of varied phrases. Here again we find moments of striking expressive power, such as the effect produced by the theme in stretto canon, played in a very fast tempo. The fourth movement, Con moto. Adagio, serves as a conclusion, emphasizing the cyclic nature of the work. Its thematic material and the way it is developed constitute as much an echo as a resolution of the turmoil of the previous movements. In this work the traditional formal structure has been almost entirely effaced under the overwhelming emotional force. The only element preserved from the classical string quartet is the four-movement structure, although neither the form, nor the character of the movements follows established conventions. Frequent fluctuations between extreme tempos also occur in each of the four movements, along with a positive and energetic mood implied by the frequency of the con moto tempo marking. The opening movement is a musical evocation of the composer’s vivid memories of his first meeting of Kamila. A slow, harmonic introduction evolves into a subtly folk-tinged melody in the solo viola – the timbral and emotional symbol of the beloved woman2 –, serving as the underlying theme of the entire musical discourse. The successive sections of the movement are joined together by an ostinato accompaniment shifting from one instrument to another. The second movement evokes the holiday time spent with Kamila at the Luhac?ovice spa in Moravia. A lyrical and warm melody unfolds in surprising contradiction to the disturbed mood of most of the composer’s themes. A pentatonic theme, also present in the first movement, is treated in the cyclic manner of the first quartet. The middle section brings a spirited and rough episode, with a dance-like lilt, while the end abounds in references to the thematic material of the first movement. The fourth movement reflects the composer’s anguish for his “pretty little weasel”, although eventually it “sounds not as fear but as longing and fulfilment”, as Janacek himself explains in one of his last letters to his beloved. The musical construction is based on a new folk-style motif with a dominant rhythmic structure, functioning nearly as a rondo theme. The quite unusual cadence in the second violin is one of the characteristic features of this movement’s finale. For this recording the Arcadia Quartet used the scores published by Universal Edition, supervised and revised by Milan Skampa3 (the Philharmonia collection, Nos. 486 and 487). Winners of the Wigmore Hall London International String Quartet Competition in 2012, the Almere International Chamber Music Competition in 2011 and the International Chamber Music Competition Hamburg in 2009, the Arcadia Quartet is rapidly establishing itself as one of the most exciting string quartets of its generation. Formed in 2005 while students at the Gheorghe Dima Music Academy in Romania, the quartet has performed across the world including performances at the Budapest Spring Festival, George Enescu Festival in Heidelberg, Cité International des Arts in Paris, Alte Oper Frankfurt, Pollack Hall in Montreal, Amsterdam Concertgebouw and in Beijing. The 12/13 Season sees them perform at the Wigmore Hall, Q’arto Mondi Festival in Poland, Salle Gaveau in Paris, Tel-Aviv, Portugal, Mecklenburg Vorpommern Festival, Kammermusiktage Mettlach, Zeist Music Days Festival in The Netherlands, Music at Paxton and the opening night of the Beethoven Piano Competition in the Musikverein, Vienna. Next season the quartet will, as part of their Wigmore Hall London International String Quartet Competition prize, tour the United Kingdom and Ireland, performing at HHH Concerts, Oxford Chamber Music Society, Lakeside Arts Center , Leamington Music, Cheltenham Music Society, Chichester Chamber Concerts, Norfolk and Norwich Music Club, Alnwick Music Society, Pollok House Arts Society, Milngavie Concert Club, Aberdeen Chamber Music Concerts, Kelso Music Concerts, Crucible Theatre in Sheffield, Limerick, Galway, Drogheda and Kilkenny. Further performances that season include concerts in Austria, Germany, The Netherlands and a residency at the renowned Banff Centre in Canada. The Arcadia Quartet’s debut disc of works by Mendelssohn and Brahms was released by Fontenay Classics in 2009 attracting critical acclaim. Ensemble Magazin wrote of “their intimate performance”, “their exceptional sonority” and their “expressive power which leaves a deep impression on the listener”.